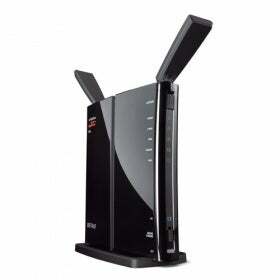 Buffalo N600 with DD-WRT firmware. I installed one upstairs, and another as a repeater in my basement. It is reliable, EASY to change any settings you'd like, and has features that most other manufacturers would charge significantly more for. These features include Dynamic DNS, USB/Network Attached Storage and USB/Printer Server, VPN (PPTP or OpenVPN).